The Saarbrücker Zeitung has published a company portrait to celebrate our 20th anniversary. The article outlines the development of the company from a student project to a member of the CentralNic Group, which is part of London's stock market. It describes the daily registrar business and the current developments at the location in St. Ingbert. 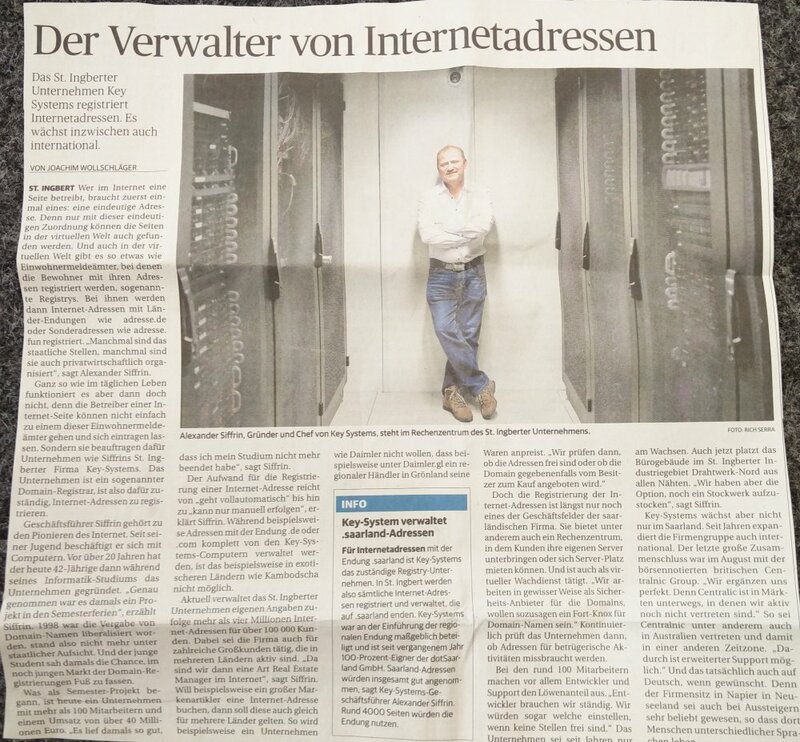 You can find the article here (German only).